Pam Thompson’s first full collection, The Japan Quiz (Redbeck Press, 2008) includes a sequence of poems from the out-of-print pamphlet, Parting the Ghosts of Salt (Redbeck Press, 2000) which comprises a series of letters between a mother and daughter, both of whom are married to sumo-wrestlers. 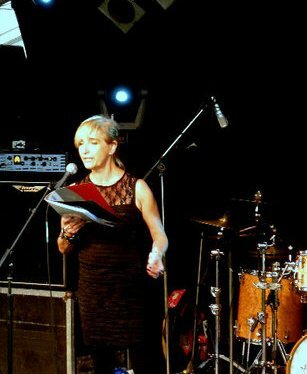 In 2005 Pam was one of the winners of the Poetry Business Poetry competition and her resulting pamphlet, Show Date and Time, was published in 2006. Other pamphlets are Spin (Waldean Press, 1999) and Hologram (Sunk-Island Publishing, 2008). Pam’s work has been successful in competitions and has been published in magazines such as The North, The Rialto, Smiths Knoll, Magma and Mslexia. She is one of the organisers of Word!, Leicester’s longest-running spoken word event and is an experienced freelance teacher of creative writing besides working as Senior Lecturer in Academic Professional Development at De Montfort University. “Pam Thompson’s world is a compelling, understated, often sad, slightly surreal modern Britain, full of people celebrating Divali on the Belgrade Road, sitting in pubs “Way past Auld Lang Syne”, wearing hoodies, and George Best “booting the ball through the screen/ after scoring for the first time in colour”. You’d not love me anymore. the stitches on his sash blow kisses. of quartz, scoop waxen tears. the terracotta perfume of his skin. A harness, to stop me falling, you understand. have packed up and moved on. the human tendency to shake, to twitch. like the hawthorn blossom on the bank. He who waits will be rewarded. Caught any yet? or What’s the point? but in what’s thrown back. a few feet away does exactly the same as you. dance stir crazy across the skin of things. You want to feel it one more time. You can’t even see the end of your line. You suspect this is the nearest you’ll ever get to love. The first comes tamely like a saint. from where his hooves have been. Gentle. his man’s heart is visible like a lit-up globe. The last is a typical bull. He dies at my feet. 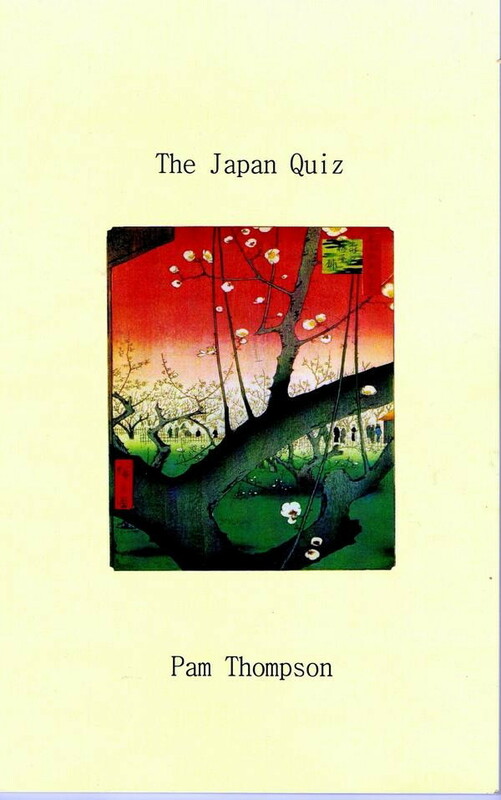 Order The Japan Quiz from Pam at pamthompson240@yahoo.co.uk. Visit The Japan Quiz’s Facebook page. This entry was posted in books, poetry and tagged Pam Thompson poems, Pam Thompson poet, Pam Thompson's Kasane, Pam Thompson's The Fishing Competition, Pam Thompson's The Japan Quiz, Pam Thompson's Waiting for the Bulls, Redbeck Press on 20/08/2010 by peony moon.